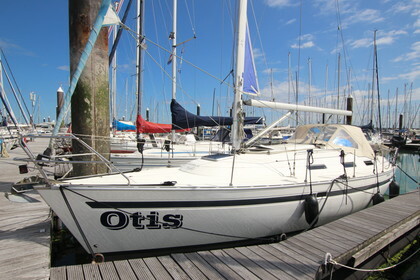 "Otis" is located in the marina of Breskens. It has a spacious interiour because of the longside kitchen. It's super equiped and is sold with everything on board including tender and Suzuki 4hp engine. This boat is ideal for fun sailing trips along the cost or even some longer trips. The cabins are cosy because of the extra installed LED lights. This Bavaria 35 has all the sails you need and is ready to go. If you are intrested in this beautiful boat don't hesitate to contact me.